with a whole heap of benefits. Our conservatory polycarbonate roof insulation system dramatically improves the usability of all conservatories, keeping them much warmer in the winter and cooler in the summer. Take a look below at our main product benefits. We install only the most effective, highest quality insulation materials to the inside of your conservatory roof. 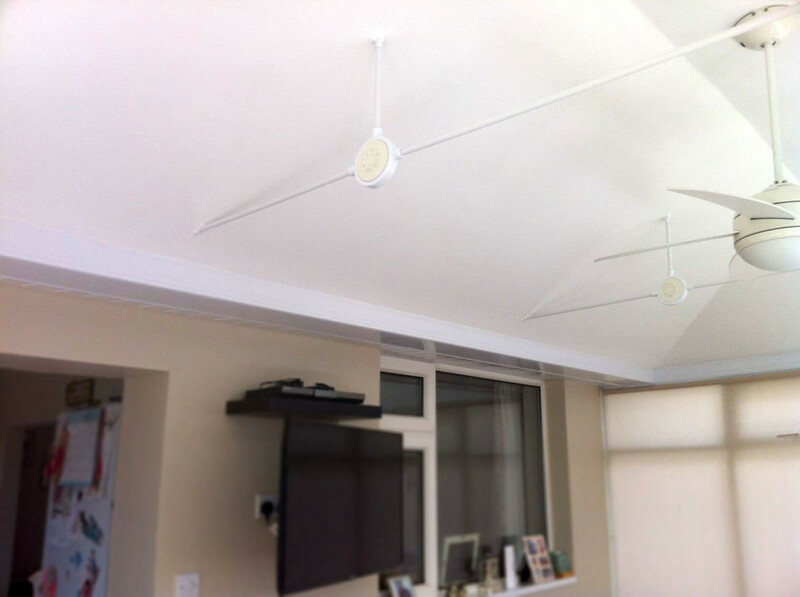 Because of this heat loss is reduced by up to 90% - more than four times as effective as ceiling blinds! Also, your conservatory will no longer create the greenhouse effect in the Summer, keeping it much cooler. Makes your conservatory look and feel like a real room. Once the framework, insulation and cross-ventilation is installed, your conservatory will then be plastered and ready to be painted. Your conservatory will now have a fully insulated ceiling that looks and feels like a real room. We promise you'll just love it. The conservatory will retain up to 90% of the heat during the Winter. Because of this, you'll need far less energy to keep your conservatory warm, reducing your energy costs. Our conservatory roof insulation system can be installed in 1 - 2 days (larger conservatories and tiled roofs may take longer) with minimal fuss, and all our fitting teams are fully insured. Our unique conservatory roof insulation system greatly improves the strength, heat and also sound insulation of the conservatory roof, reducing rain noise by up to 95%. So now you can use your conservatory whatever the weather, without having to move to another room when it rains. 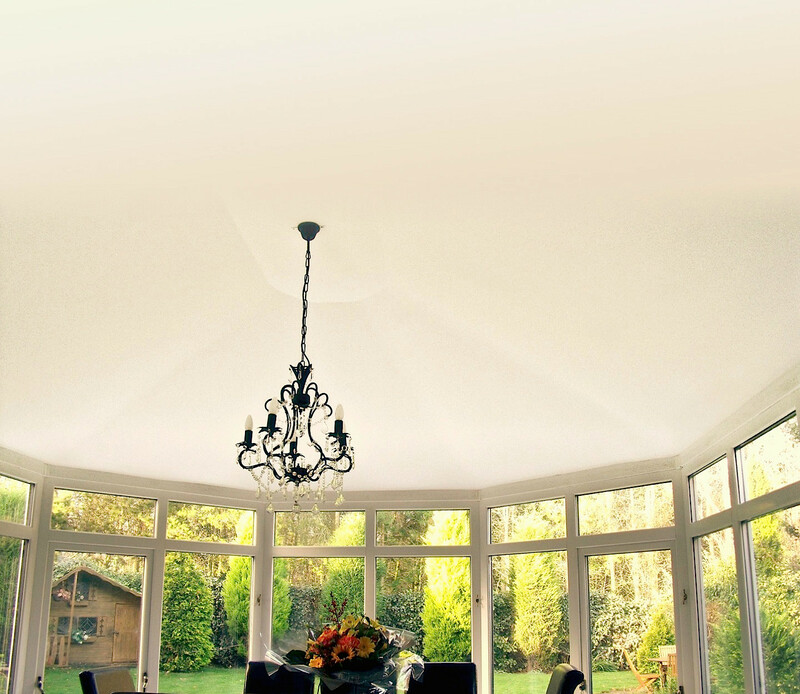 Because our system transforms the inside of your conservatory into an insulated plastered or plastic ceiling, flies and other insects will no longer swarm around the ceiling of your conservatory thinking they can escape through the transparent polycarbonate roof insulation. So it'll feel less like a bug refuge and more like a clean living room. Consequently, you won't have a collection of dead bugs that need cleaning up every week in the Summer. Also, because the ceiling is no longer transparent, any dirt or algae on the outside of your conservatory will no longer be visible. Standard polycarbonate roofs have very limited light intrusion, with the vast majority of light coming from the windows and doors. So once our conservatory polycarbonate roof insulation system is installed, the light will be reflected off your new white ceiling, creating a surprisingly small 5% of total light reduction. Retains the shape of your ceiling. Our conservatory polycarbonate roof insulation system is installed directly onto the interior ceiling of your conservatory, so the original shape and height is maintained. You can also retain your existing light fixtures.